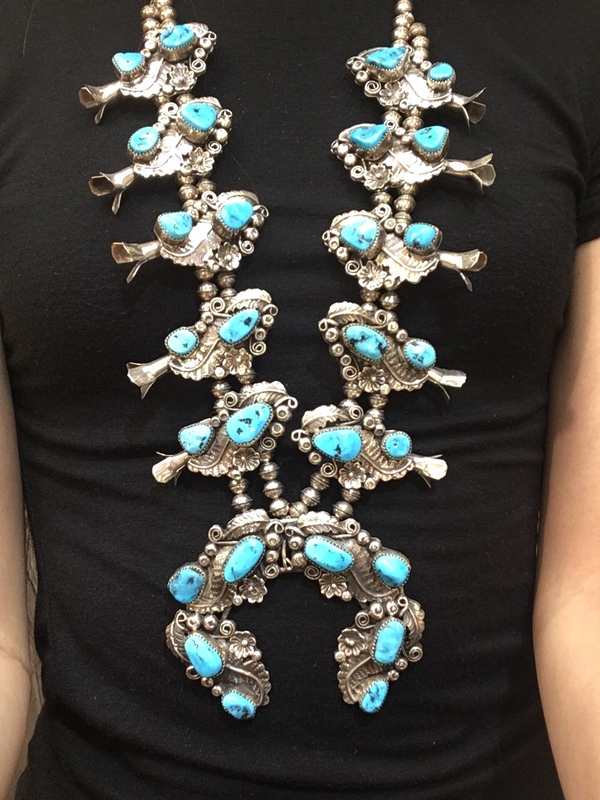 This is a one-of-a-kind squash blossom from Navajo Native American jeweler Harry B Yazzie. 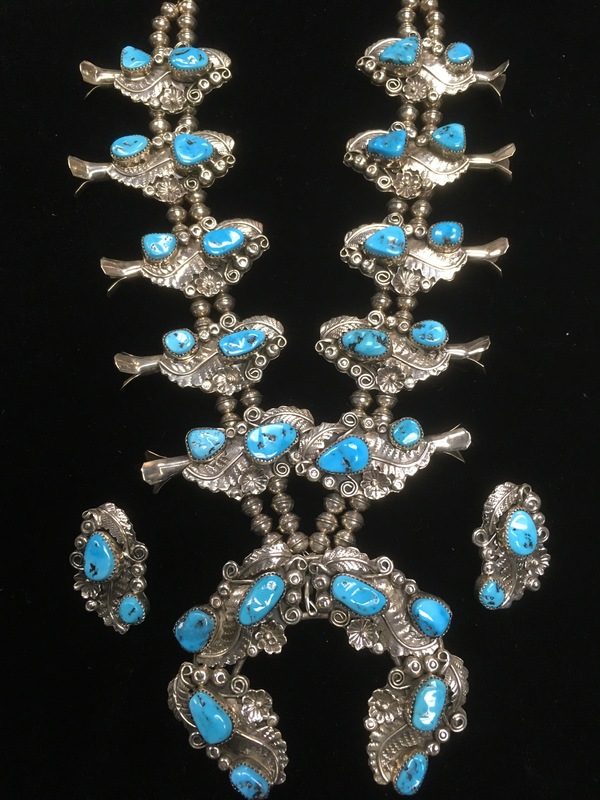 The piece features lots of precise Sterling Silver floral work that shows master craftsmanship with Turquoise through out. This is a true statement piece with matching earrings so don’t miss out! 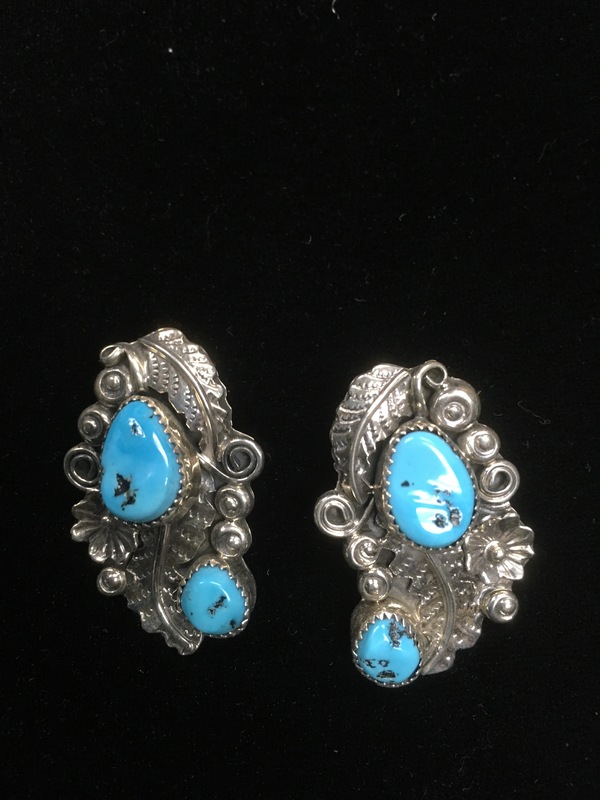 Navajo Harry B Yazzie Turquoise Squash Blossom features intricate floral Sterling Silver work and Turquoise by Navajo Native American Harry B Yazzie.